Spending extended time in San Francisco? What a better way to spend your day than a romantic, relaxing San Francisco to Napa Valley Wine Tour—without your car! Leave the itinerary and transportation to us. 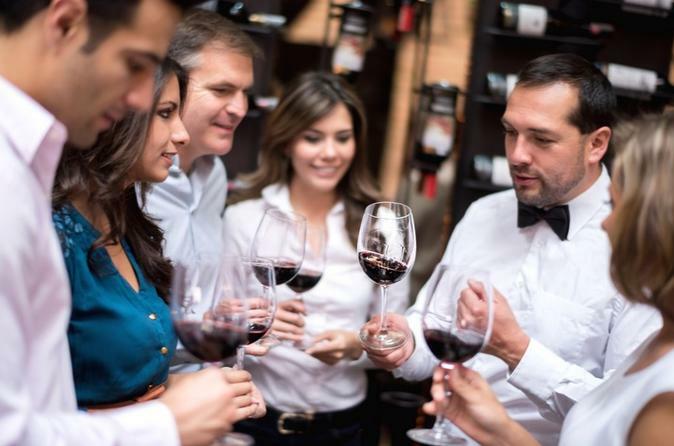 Sit back, relax, and enjoy our 6-hour private wine tasting tours that start in San Francisco and head about an hour north to the vineyard-draped hills of Napa Valley. Take in the beauty of the rolling hills speckled with magnificent oak trees and lush vineyards. We’ll take you from San Francisco to Napa Valley for a full day of wine tasting experiences at some of the best Napa wineries in the world. With several hundred wineries to choose from, you will taste a wide array of wines and experience the unique ambiance of each winery. Leave the driving to a professional and enjoy the ride on this private tour of Northern California’s renowned wine country. Begin your 6-hour tour with pickup at any San Francisco location, and choose from a luxury sedan or SUV to match your group’s size and style. Then relax while a driver leads the way to as many wineries as desired in a 6-hour period. This is no ordinary wine tour, however. This is a luxury trip to some of the world's best wineries, at the top of wine lovers’ bucket lists everywhere. Napa Valley is the pinnacle of countryside scenery and legendary wines. It's America’s premier wine, food, arts, and wellness capital. With hundreds of wineries to choose from, a day trip to Napa Valley promises to be full of flavor. Enjoy unforgettable wine tastings and stunning scenic views. Napa Wine Country has a storied history as one of the top agricultural regions of the United States. With more than 500 wineries spread out over 13 American Viticultural areas, it’s no wonder this corner of California has become famous for its wine. Sample Pinot Noir, Chardonnay, and Cabernet Sauvignon, to name a few. Winery tasting fees are not included. At the end of your 6-hour tour, you’ll be returned to the original departure point relaxed and fresh from your private wine country adventure!